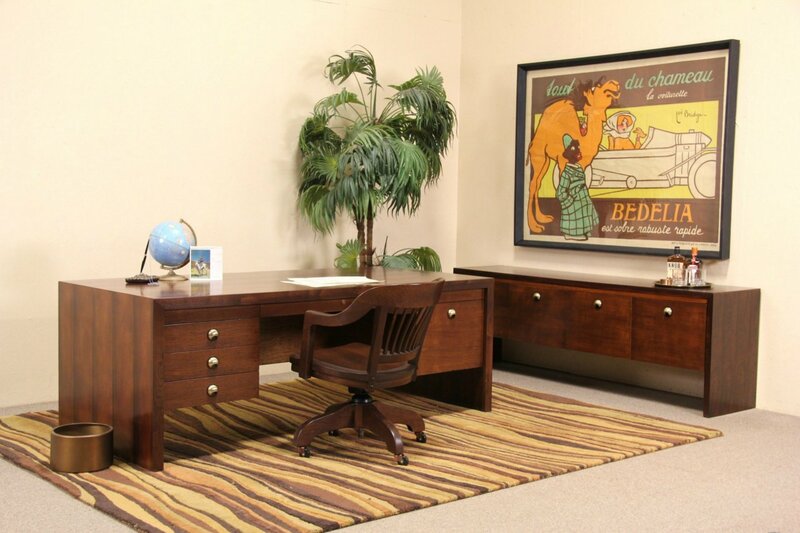 Singed by premier Midcentury Modern maker, "Dunbar of Berne, S.C.," an executive office or library set includes a large desk and credenza with file drawers. Matched genuine rosewood is accented with walnut and oak drawer fronts. Drawers have finger dovetail joints on this American made vintage suite. Both pieces have a slight sag from age, see photos. Hardware is original on this stellar set. Measurements of the desk are 80" long, 38" deep and 29" tall. The credenza is 80" long, 18" deep and 27" tall.